Check out the video produced by last year’s participants produced by our very own Purple Team. Do you want your child to have fun and make new friends while earning community service hours? Sign up for your one-week sessions today! 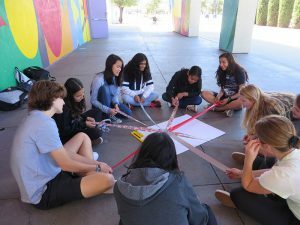 This award-winning summer program for teens combines service learning and creating lasting memories all summer long. 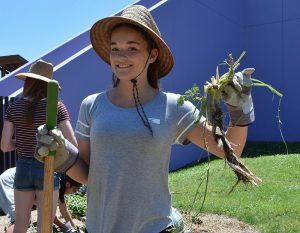 Summer of Service is for youth entering Grades 7, 8, 9, or 10 in Fall 2019. Program takes place Monday – Friday 9:00 a.m. to 4:00 p.m.
Extended Care Hours available 7:30 – 9:00 a.m. and 4:00 – 5:30 p.m. Participants meet at Children’s Discovery Museum of San Jose each day before traveling to service sites in our community. Each Friday, we travel to a local Bay Area destination for our Fun Friday field trip. This summer we are teaming up with Agilent Technologies to bring their popular Agilent Afterschool program to our participants. Agilent After School is a hands-on science program focused on life, physical, and earth-science experiments. Every Monday afternoon, campers will work with real Agilent engineers on process-driven projects that harness elements of STEAM education. These hands-on projects will inspire curiosity, experimentation, creative confidence, and creative problem solving. 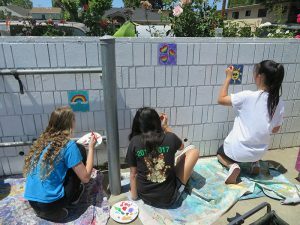 Spend your summer helping others, learning new skills, and making our community a better place. Our Red Team is the “Community Outreach” team because its service efforts address various different needs. You’ll play games with senior citizens, feed the hungry, lead art activities for children, and lots more! Our Purple Team is the “Media Activism” Team. 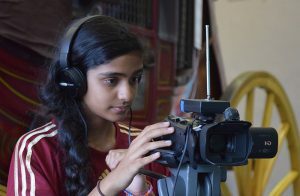 Get behind-the-scenes in the Museum and work together as a team to create a video on an important issue in our community, as well as contribute to our end of summer camp video! Our Orange Team is the “Early-Childhood” team that works side-by-side with local educators. Be a mentor and friend to local pre-school aged children. Share a lunch, read a book, play games, and lead activities at multiple locations in the community. Our Green Team is our “Environmental Stewardship” team. You’ll clean and monitor the Guadalupe River, rehabilitate native plant species, teach the public about environmental conservation, and harvest locally grown produce. Are you entering the 10th grade this fall? Join our Striped Team which is our leadership team! 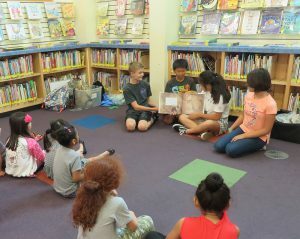 In addition to performing regular service, you’ll be planning and leading activities with our younger participants.